Since 1991 we have been making memories through our jewelry. Let one of our expert jewelers help make your next heirloom piece. 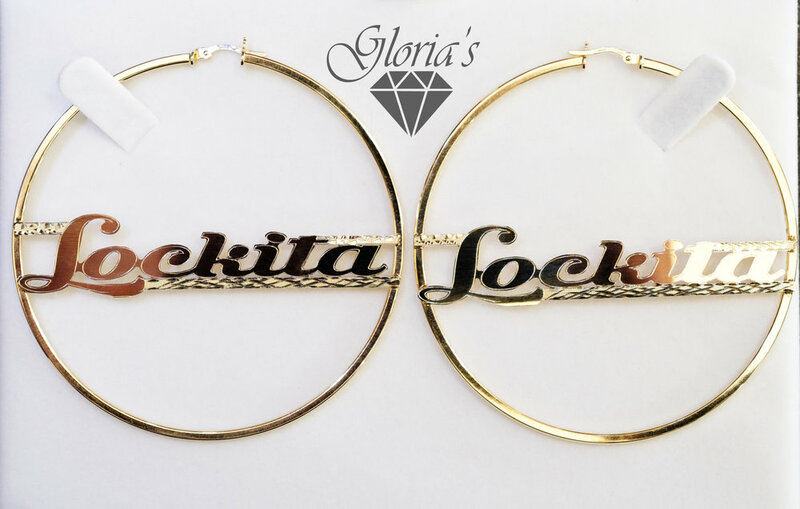 14k hoops we added lettering. Lettering can be added to bracelets, rings, necklaces and more. We’ve participated in many West Chicago activities and have been proud recipients of awards from the mayor. We’ve established an extensive list of loyal and loving customers who have been with us since the beginning. We are constantly expanding what we do and offer. In the recent years we have kept up with the highest technology for repair and manufacturing of fine jewelry.